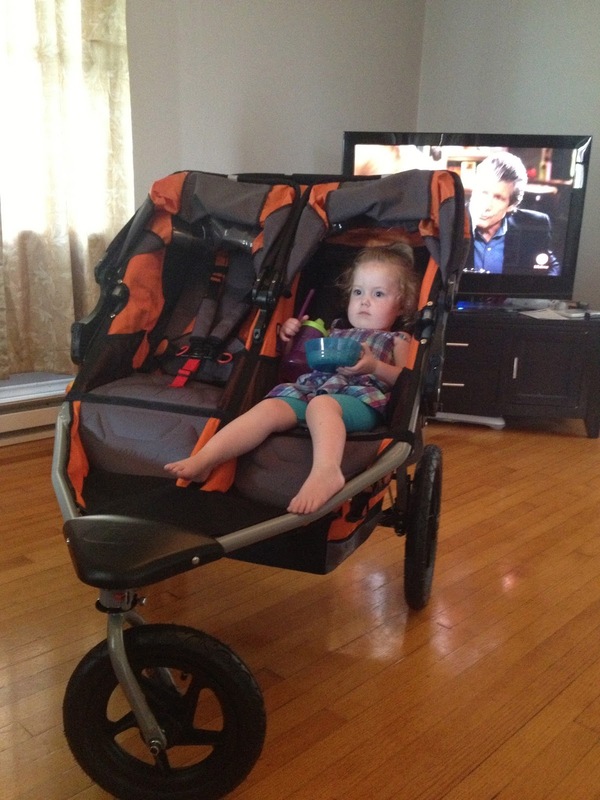 This is the 3rd post in a series that's, so far, covered our search and selection for the perfect double jogging stroller. I want to be completely honest with you. I'm probably the worst person you could pick when it comes to putting anything together. It's a pain when your wife is addicted to a certain Swedish furniture store that is known for their "simple" and "easy to follow" instructions on how to put together their merchandise. It's not an uncommon occurrence that I find myself with a leftover bolt, screw or washer as I stand in victory over whatever it is that I am putting together. This was the only thing that I feared about purchasing our BOB Revolution SE Duallie. When the box arrived and we began opening it my fears drained from my body. As we opened the box I began to see that the stroller was, for the most part, put together. I had imagined large packets of nuts and bolts and our 2 year old daughter running around the house losing half of them. It was definitely a breath of fresh air not to have to assemble it. The only thing we had to do was to put the wheels on it and we were ready to head out the front door. We popped it open, attached the wheels and adjusted a few things on it and Norah immediately wanted to climb in and claim her spot. It's comforting to know that we now have the option of going for a long run and not having to figure out the logistical side of things of who would watch the kids while the other was out running. It is also comforting to know that both of my children will be comfortable while we're on the trail and that they have plenty of room to grow into the stroller. Look for the final entry in this series as I will give my full review of the performance of the stroller on the trail and in terms of transporting this beast!